What If Your Brand Stood Out in a Crowd? The fact is that you are what people think you are. Being able to position yourself properly in the minds of your audience is key to your profits. Designing your office to communicate your brand, will aid you in that pursuit. Most company’s today see office design as an unimportant detail and expense that must be endured in order to remain in business. However, there are startling facts to the contrary. In fact, you will learn how some of the most successful companies on the planet use design to reap fortunes. In this eBook, discover the tools that will get you on your way to becoming design intelligent. Understand what works for your needs and what to stay away from. Want to get some fresh ideas to empower your business? 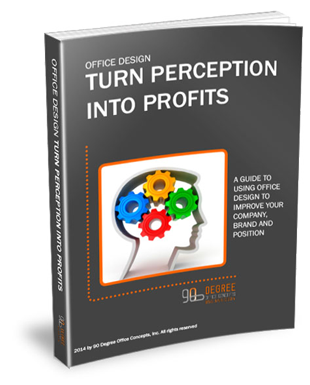 Want to know how to create a greater perceived value? Want to know how to profit from your ideas? Please tell us the name of the company you work for. Please help us prevent spam. Fill in the character displayed below.